Steve Leonard is a veterinary surgeon and television presenter. 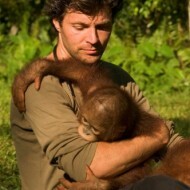 Steve presented 2 series of Orangutan Diary, alongside fellow Orangutan Land Trust patron, Michaela Strachan. 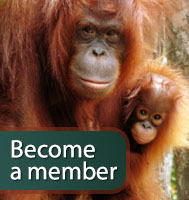 Since meeting Grendon and the other orangutans at BOS Nyaru Menteng, he has developed a strong passion for the conservation of orangutans.